Ohio US State Ohio is a Midwestern state stretching from Appalachian Country in the south to Lake Erie in the north. On the shores of the Great above Lake is its city of Cleveland, site of the Cleveland Museum of Art and its renowned collection of masterpieces.
. At the end of the American Revolution, Britain ceded control of the territory to the newly formed United States, which incorporated it into the Northwest Territory. Ohio became a state on March 1, 1803, although no formal declaration was made until 1953 when President Dwight Eisenhower officially signed the documents making it a state, retroactive to the original date.Ohio is sometimes called the “Mother of Modern Presidents,” Having sent seven Ohioans (both natives and residents)to the White House since 1869. 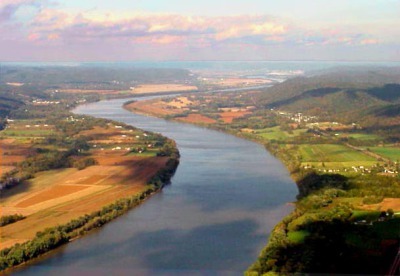 Ohio got its name from the Iroquois word, “O-Y-O,” meaning “great river.” The Iroquois Indians had begun to settle on the Ohio River and Great Lakes by 1650, although it is estimated that only a few hundred lived in present-day Ohio during any one period. The city of Cleveland was founded by Connecticut-born Moses Cleaveland, who, in 1796, went to survey land claimed by the Connecticut Land Co. as part of the Western Reserve. Although the city was originally named “Cleaveland,” in the early 1930s, the Cleveland Advertiser dropped the “a” to fit the name on its masthead, and the new spelling caught on. On May 4, 1970, three days after anti-Vietnam War protests at Kent State University began, four students were killed, and nine were wounded when 29 National Guardsmen opened fire on campus. Of the deceased, two had not been involved with the protest. Four years later, the eight guardsmen who faced trial were acquitted. 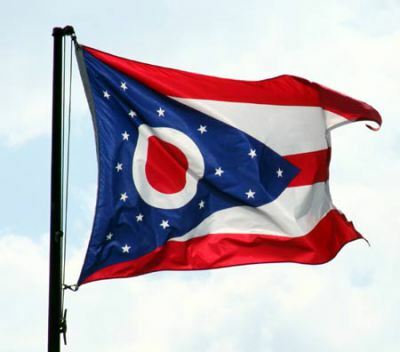 The American Civil Liberties Union (ACLU) filed a suit against Ohio in 1997, arguing that its state motto, “With God All Things Are Possible,” violated the First Amendment to the U.S. Constitution, which ensures freedom of religion. 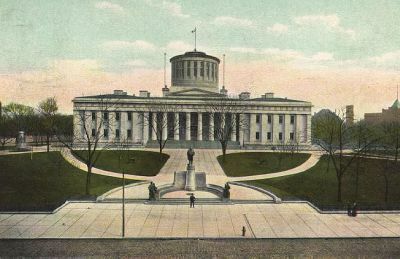 Ohio was the birthplace of seven U.S. presidents: Ulysses S. Grant, Rutherford B. Hayes, James Garfield, Benjamin Harrison, William McKinley, William H. Taft and Warren G. Harding.